When non-bloggers ask me how much time I spend on blogging, they’re usually staggered by how much time I spend on it. I work full time, so fitting in a blog (well, 2 if I get round to doing anything with What about Dance) on top of having a job and child, plus in theory housework, is a challenge. Asking how much time it takes to have a blog is hard to answer. Because how long is a piece of string? For those who want to start blogging, the answer you get will depend on which bloggers you ask. Is blogging their job or a hobby? Do they monetise or just blog for themselves? Why do they blog – for journaling or to help people? Do they blog daily or weekly or less? Blogging also entails more than just writing and managing the blog. Just getting a post live can involve photography, editing pictures, finding stock images, key word research, several rounds of edits, researching topics and other resources and maintaining the blog itself. That’s just the blog part. There’s also the promotion. If you blog and want people to read it, you need to tell people about it. Promotion for some people can take up more time than writing the actual blog posts. Many bloggers have other strings to their bow especially once they monetise and/or are making their blog their income. Some are building Instagram, others are vloggers. And many spend time doing courses and fine tuning how to improve their knowledge and blogs. At one point I was using a monitor to check my time on my laptop. I was spending around 30 hours a week on blogging and social media, but that excluded anything on my phone or offline. I cut it down for a while when I was dancing a couple of evenings as week, but expect I’m back up to close to that again. I publish posts 4-5 times a week on this blog. Days out posts take longer because I have to edit numerous photos. I sometimes do videos although I mainly use a short cut on my phone for those – although after an update I’m not liking the way they do videos now so might have to change back to normal video editing which takes longer. I’ll spend anywhere from 10 mins to 1.5 hours a day on Instagram – mostly because I like photography rather than it doing much for my blog. Twitter I schedule some posts daily, and use Missinglettr to auto schedule evergreen posts across a year – this could be up to an hour a day, although some will be more for personal chat rather than all blogging. 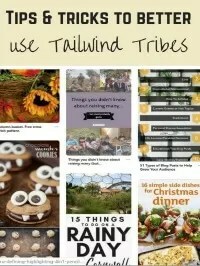 Pinterest, I’ll pin a couple of posts manually each day, then schedule a load and use Tailwind a couple of days a week, probably 2 hours a week. Sorting out images will vary from taking photos to finding stock images. Editing can take some time so I try and get photos right in shot then I just need to check the light and sharpness, resize and compress, and create pinnable images. 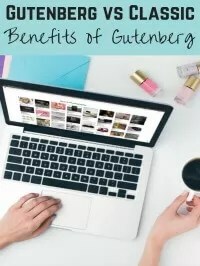 Obviously there are some short cuts that can help make blogging more productive. 1. Faster writing – I find blogging offline is quicker. Dictation is pretty fast although needs more correcting afterwards due to limitations with dictation tools. Handwriting posts can be done when I’m offline and is fairly fast to write up. Some people edit and edit again and again, but I tend to just check over what I’ve written then that’s a post done. It worked for me at university just writing once, and blogging is more a conversation for me, so it works fine. 2. Batching – do the same tasks in one go. Editing photos, scheduling, finding social media content etc. 3. Remove distractions – I usually blog in the evening and that means the tv is on in the background. Blogging takes a lot longer to do if I’m writing from scratch. But it’s the only time I have and it’s too antisocial sitting in another room. My most productive location for blogging is in coffee shops. I like the buzz around but unknown voices mean I don’t try and listen in or join in conversations like I do at work. 4. Use the time you have – use the time while you’re cooking to work social media. People read on the toilet, so interact on Instagram instead. Keep a notebook in the car or dictate to your phone while you’re waiting for children to finish activities or at school pick up. Get the little bits done that only need time here and there. 5. Use productivity techniques, e.g Pomodoro technique – where you work for 20 minutes focusing on one thing, then break, then do another 20 minutes etc. It removes multitasking and distractions, giving you a set time to you to focus. Most people find they get more done. It was my aim 2 years ago to reduce the amount of time I spent blogging and the number of posts I was writing. I’ve managed to reduce the number of posts I write this year, I do only 1 linky a week, and use more scheduling. It’s helped that I’m doing very little (if anything with my dance blog at the moment). But I love blogging and love the community chat, so at the moment I can’t see much reducing. The downside is that my views dropped off substantially over the winter – following the removal of various platforms (Stumbleupon and now google+ which ticked along) where I got lots of views before. I also get very little paid work any more because there’s so many other bloggers out there; so many bloggers work together to put friends’ names forward for opps, and I won’t do follow links. 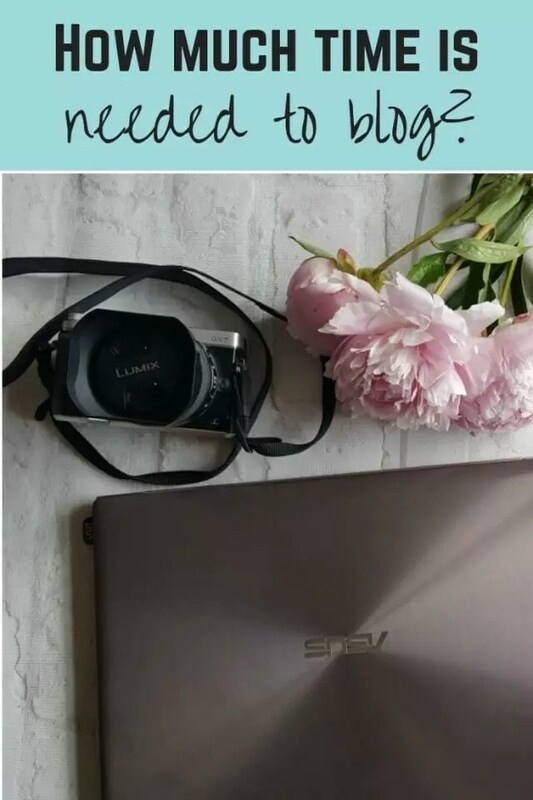 Luckily I love to blog and I’m not doing it for the money, so I have more flexibility and choice in what I do with my blog compared with some others. If you want to start to blog, especially if you’re wanting to make it your main source of income, remember that unless you’re in a non-competitive but highly searched for niche, you’ll need to work harder than you probably think you will. You can do well only writing 1 post a week – my dance blog is in a tiny niche, but keeps ticking over with virtually no social media. And only having 1 new post in 8 months. In larger niches you can get sucked into the community and that can make you feel like you need to do more all the time. Only you can tell how much time you need to blog. 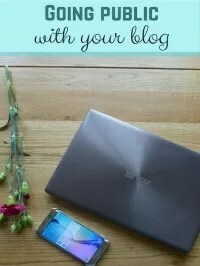 Deciding what you want to achieve from your blog in the first place will enable you to manage your time and the blog in the way you want and need. If you’re already a blogger, how much time do you spend blogging?